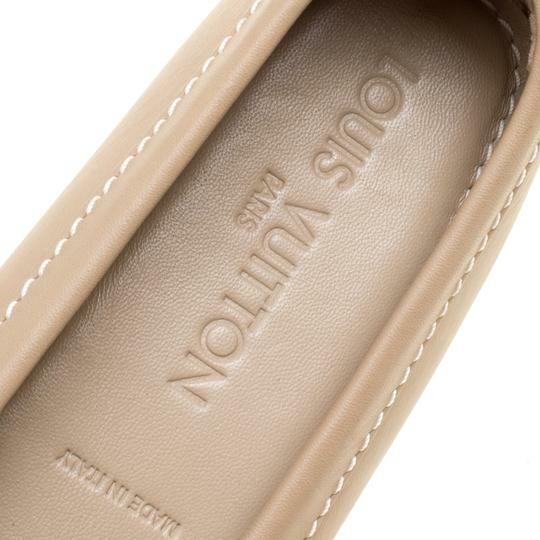 Right on style and comfort, this pair of loafers by Louis Vuitton will make a great addition to your shoe collection. 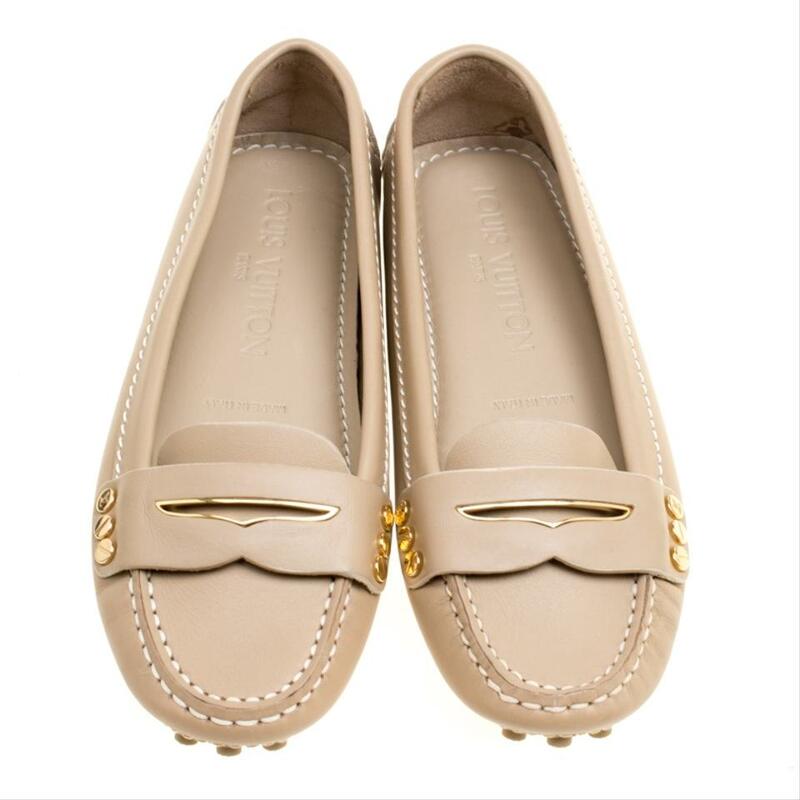 They've been crafted from beige leather and styled with Penny keeper straps. 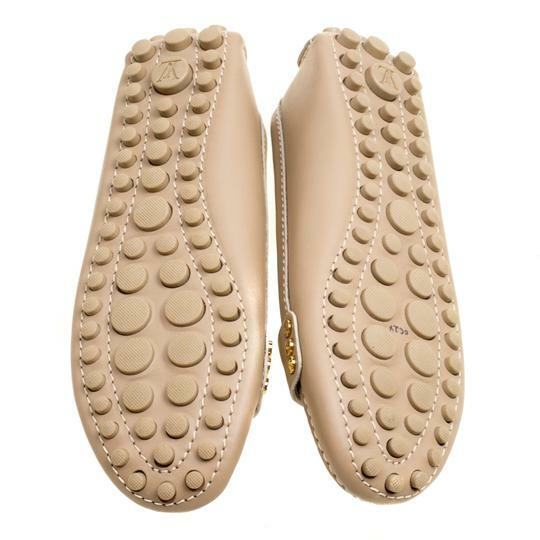 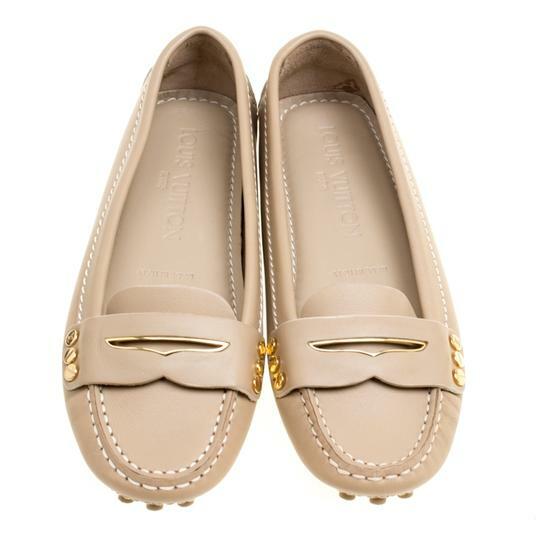 Leather insoles and pebbled outsoles beautifully complete the loafers.